Don’t expect to play Trials of Osiris this weekend, Destiny fans. 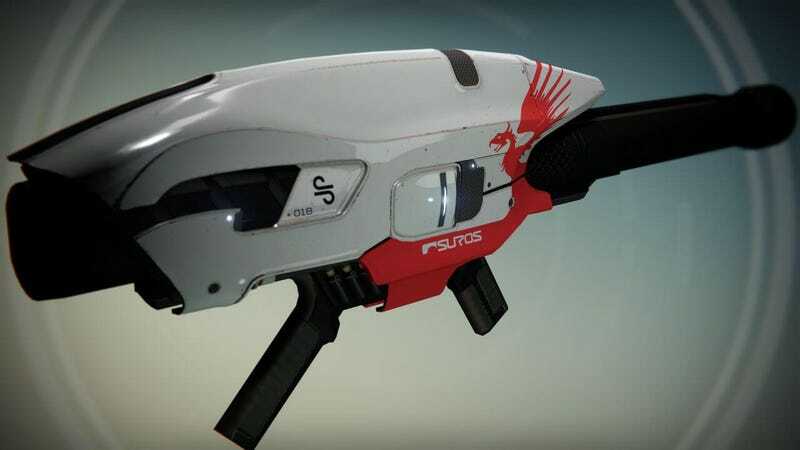 Thanks to a glitch involving weapon perks and an unlimited supply of heavy ammo, Bungie has cancelled it. The glitch, which was discovered earlier this week, allows players to use raid weapons with the Cocoon perk to trigger Clown Cartridge on rocket launchers, which in normal-speak means they can conjure up an unlimited number of rockets. That’s bad news for PVP, of course. So as Bungie tries to fix the problem, they’re cancelling this weekend’s Trials tournament. Heavy Ammunition is a rare commodity in the Crucible, and with good reason! There are few defenses against a well-aimed Rocket that lands squarely at your feet. We limit the deliveries of purple crates to the battlefield to make those explosive moments the highlight of a match. When we learned that some Guardians had discovered a way to earn unlimited rockets, we knew it was time for a bug hunt. Rather than punish players for playing the game in a way we didn’t predict, we’ve been waging an investigation into our code. These things happen, so please don’t panic. We’re on the case - and we’ve slayed more dreaded bugs than these. In the meantime, Trials of Osiris is cancelled for this weekend. The thought of a Trials map being renamed “Rocket Town” sends a shiver up our spine. The esteemed Brother Vance will be ordered to stand down. Trials of Osiris will return of course - and that right soon - but we’re going to ensure that we can restore the Heavy economy to its usual balance. We know this will come as a disappointment to some. Our hope is that it won’t be as disappointing as being denied a trip to the Lighthouse by an opponent with a Rocket Launcher that works like a clown car. The same holding pattern applies to Iron Banner. Lord Saladin will be granted approach to the Tower once our work is done. Please watch this space for updates.